In this post we have calculated the savings for a company that has implemented the electronic signature to speed up their signature processes, whether the documents should be signed internally or externally, by clients or providers. To do so, we have compared what it costs to get the signature of 200 documents a month by the traditional method - sending documents to be signed on paper - with the costs of using an electronic signature solution. Suppose that we want to send 200 invoices with two pages each, and we must get our client’s signature on both pages. 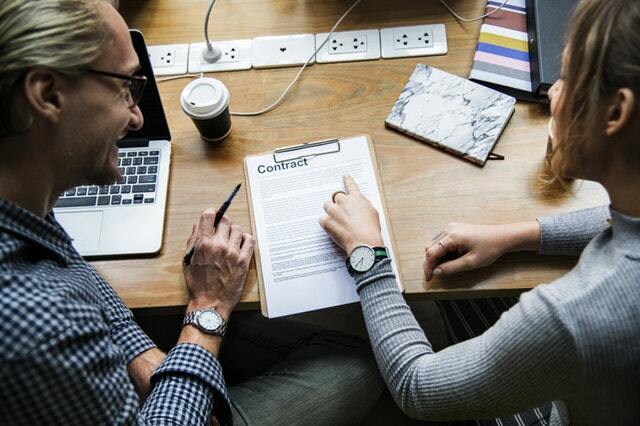 We have made an approximate calculation of what it costs to obtain these invoices signed using the traditional signature method - paper and pen - and we have compared the results with what it costs to obtain the two signatures via an electronic signature solution, such as the one we offer in Signaturit. 200 documents of two pages each, is a total of 400 pages. A pack of 500 sheets (A4, 80 g/m²) in white costs 4.90€, so the cost of one sheet is 0.01€ cents. The paper for our 200 invoices therefore costs 4€. A black toner with an estimated duration of 2,600 pages (according to ISO/IEC 19752) costs 62€. Therefore, printing the 400 pages for our invoices equals 9,54€. If the time it takes to send a document is approximately 3 minutes - preparing the invoice and printing it to mailing it - the total time that a person dedicated to this type of administrative task should invest in preparing 200 invoices is 10 hours. And if this person charges 10€ an hour, the cost in carrying out this task is 100€. Once the signed invoices are received back, they normally must be scanned to file them in digital format, and also in paper format. Assuming the management time for each invoice is 5 minutes, the time that would be invested to file the 200 signed invoices would be 17 hours. At 10€ an hour, the cost in time to manage the signed invoices would be 170€. The regular mail with the Spanish post office is 1€ per letter (more than 50gr. to 100gr. ).Therefore, sending 200 letters would amount to 200€. In case the invoices are sent to their destinations via ordinary mail, the total cost of this manual process would be 483.54€. If it were decided to send the invoices via certified mail, the total cost would be 1,013.54€. There aren't any. Invoices are prepared, sent and received back signed in digital format. Signaturit’s Business Plus Plan allows to send an unlimited number of documents to sign for 50€/user per month (annual payment). In our hypothetical case, if the company sent to sign 200 invoices per month, the price would be € 0.25. In any case, the company should pay only 50€ per month for a Business account in Signaturit. Let’s assume that to send a document to sign takes an average of 5 minutes to prepare each invoice: creating the invoice in Word, uploading it to Signaturit’s platform, editing the necessary fields, including a field for the signature, and sending it to each customer to sign directly from Signaturit. Considering that the person responsible for carrying out this management is part of the company's administrative staff and charges 10€ an hour, preparing 200 invoices to sign would in this case cost 166,67€. Once each customer signs their invoice, it will be filed automatically into Signaturit’s dashboard, from where it can be downloaded if necessary. There is no need to invest management time in filing invoices in digital format, as they are already archived in Signaturit’s platform and can be consulted at all times. There aren't any, since the invoices are sent to sign directly from Signaturit’s platform. Additionally, the invoices could be sent by a certified email service that replaces the regular certified mail. This service is available in the Business Plus Plan, which includes all of the features of the Business Plan + certified email sending. 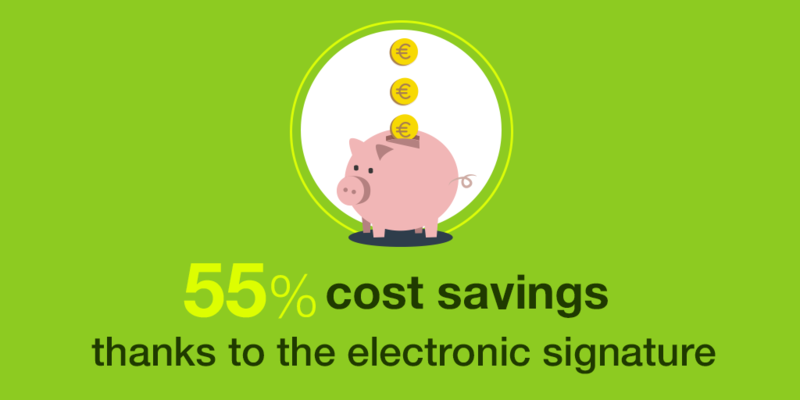 In the case of using Signaturit’s electronic signature solution, the total cost to send 200 invoices would be 216,67€, which is 55% less than the case of preparing the invoices in paper and sending them to the recipients via ordinary mail; and 78,62% less in case of sending them via certified mail. 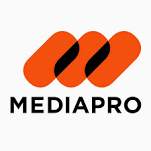 Grupo MEDIAPRO is an audiovisual giant with offices in 33 cities in more than 21 countries and more than 4,500 professionals. Among its many activities, they focus on the production of audiovisual content, films and interactive contents, as well as the management and distribution of sports events. With the aim to optimize all of their processes necessary to close and execute projects where signed documentation is normally required, Grupo MEDIAPRO’s efficiency department: Signaturit’s electronic signature tool. With a few years having passed since implementation, Núria Cabrero Solà, Efficiency Manager for MEDIAPRO Group, shared the savings figures with us that were calculated for the previous month of May at our digitalisation in HR departments event. In 2016, they managed 3 thousand documents through Signaturit, which meant a saving of 30 thousand Euros. In this way, they avoided 5 thousand hours of manual work in managing documents, the equivalent of 60 thousand Euros in wages. Therefore, the total savings for this year were 90 thousand Euros. In 2017, the number of documents signed reached 10 thousand, which by applying the same rule of three, meant a saving of 296 thousand Euros. It reduces the time in obtaining signed documents: on average, it takes 37 minutes to receive a signed document with the electronic signature. By the traditional route, the process could take up to 5 days or more. It is easier to follow-up on the signature process and to send reminders to the signers. It is easier for the signer to sign, who additionally saves in paper and reduces its own management costs. It reduces the risk of lost documents, as all are sent to be signed in digital format. And with that, it reduces the risk of losing business opportunities due to a lack of having the required signed documents on time. 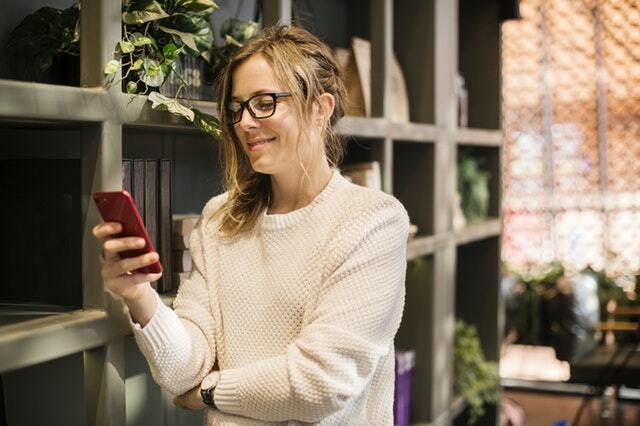 Using the electronic signature not only provides tangible economic savings, but also improves the efficiency of processes, employee productivity, simplifies workflows and prevents lost business opportunities. And don't forget the environmental impact with the important reduction in paper consumption thanks to digitizing the signature processes.